3 stone diamond ring with partially exposed, ascending diamond sizes across a unique trilogy ring design. 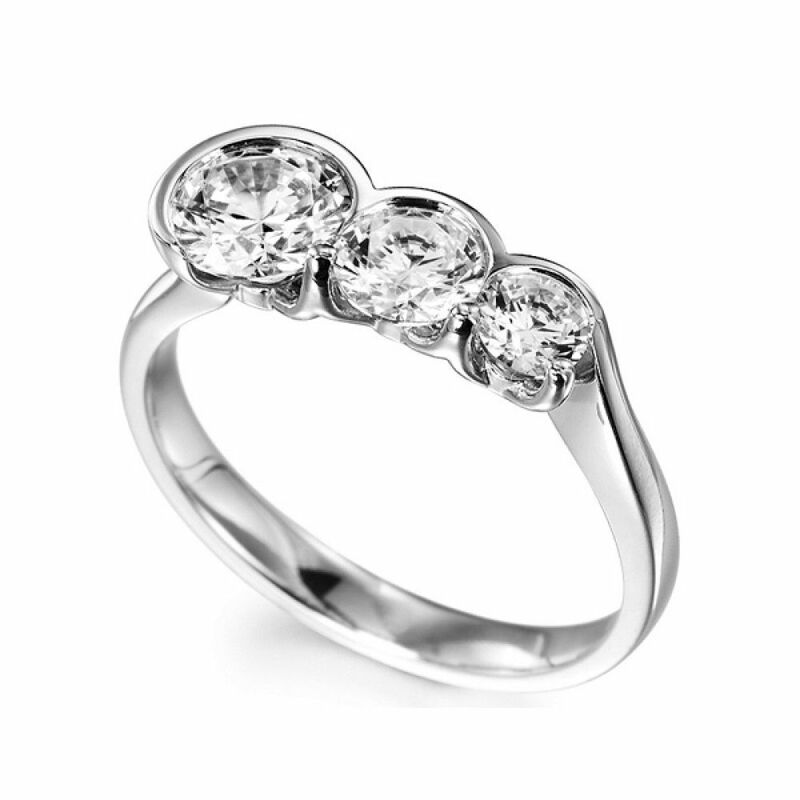 Introducing our beautiful trilogy Round Brilliant cut Diamond Engagement Ring. Artistically set within this combination setting ring design which allows each Diamond to radiate with brilliance, as light floods through the partially exposed setting in this very unique ring design. This design features three Diamonds, ascending in size, available in total carat weights of 0.75cts, 1ct and 1.25cts, which have all been graded G Colour SI1 Clarity prior to setting. Typically this ring style takes around 3-4 weeks to create, and is perfectly finished before being shipped fully insured to you. We can deliver this to your door in our bespoke packaging with a slim pocket box and the comforting reassurance of our 60 day return policy and a free ring size adjustment if needed.